Many horse races across the world have adopted the title ’Derby’ but this weekend’s Epsom Derby was the first! Founded in 1780 by its namesake the 12th Earl of Derby, it has become the country’s richest horse race and one of the most prestigious events in the summer sporting calendar. This week’s poster was designed by the artist Sybil Andrews, an acclaimed modernist printmaker inspired by Cubism, Futurism and Vorticism. From between 1929 and 1937 she worked under the more masculine pseudonym of Andrew Power, in tribute to the artist Cyril Power with whom she shared a studio. This poster was issued in 1933, to promote the Derby and the race course as a destination. The town of Epsom in Surrey is beyond the reach of the Underground but for Derby day special bus services were operated from the nearest tube station at Morden. In that same year the London Passenger Transport Board was formed to run all bus, tram and Underground railway services in London. 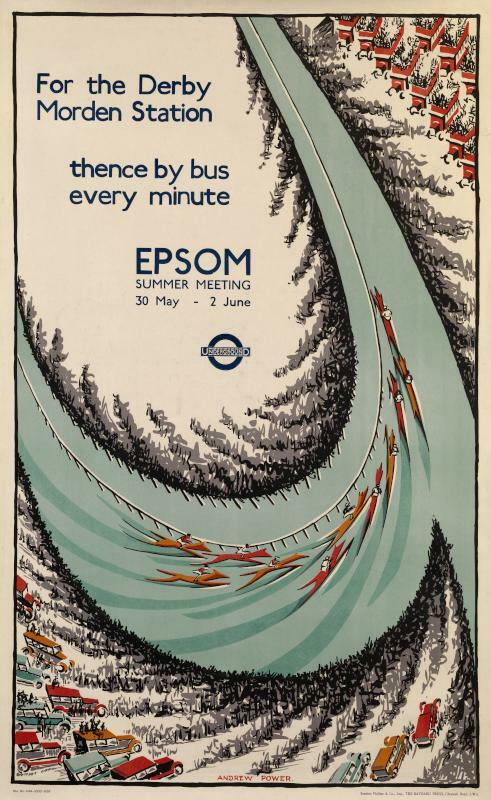 This poster represented the benefits of the newly integrated system and the many exciting events and destinations that could now be promoted. The poster’s aerial view of the race illustrates the exciting swirl of activity as the horses stream around the course, into Tattenham Corner and out towards the home straight. The rows of open-topped buses that line the route were part of a small fleet of old vehicles still being operated by London Underground. They provided a convenient vantage point for the crowds watching the spectacle. The 1933 Derby was particularly memorable, won by the popular thoroughbred Hyperion who was owned by the 17th Early of Derby. 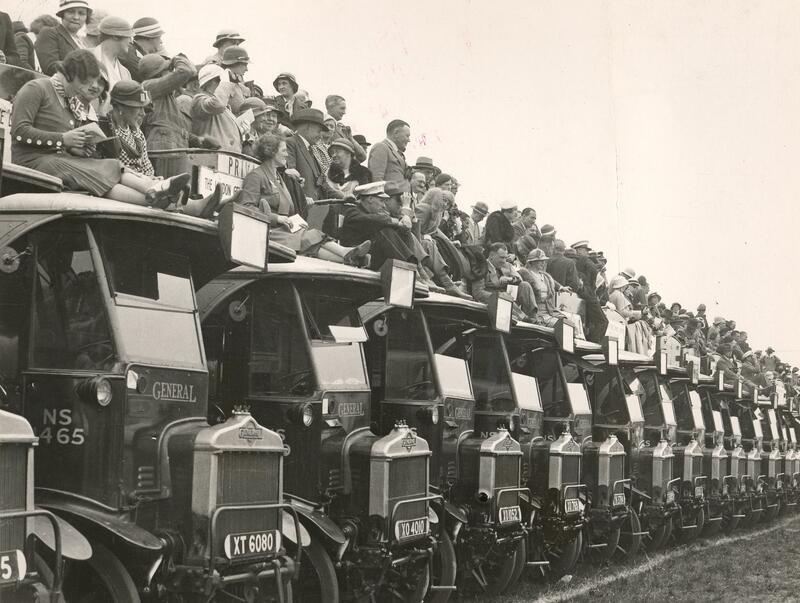 The above photograph from the Museum collection was taken at the 1933 Derby and shows people standing on the open top decks and even sitting on the roofs above the driver’s cabs. This tradition continues today with race-goers arriving in vintage buses to get a bird’s eye view of the finishing post. Previous PostA carriage fit for a QueenNext PostA Happy Museum? Of Course!